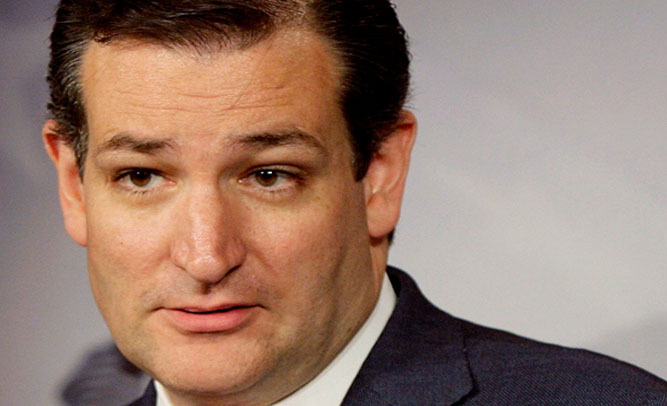 6 States Vote To Make Masturbation Illegal In Ted Cruz-Backed Law; Is Your State One Of Them? You probably missed it on your ballot last November, but a bill to make masturbation illegal was listed on the voter cards for all 50 states, mixed in with other major bills including ones looking to defund certain parts of the education budget, as well as the legalization of marijuana. Vermont, Georgia, New Hampshire, Idaho, Mississippi, and Delaware all voted to outlaw masturbation, in a law that will take effect April 1st. 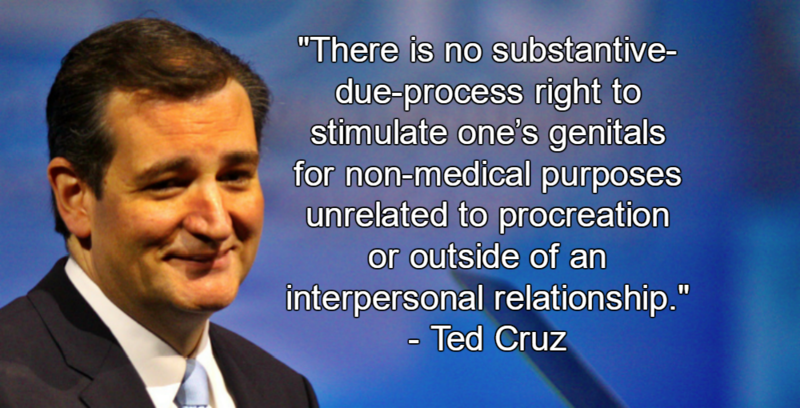 The bill was backed by staunch anti-masturbator Ted Cruz. Naturally, people in all states are extremely upset. Several question how the government and police plan to enforce this law, but Miller says that goes hand-in-hand with recent news about CIA leaks. Taiwanese President Tsai Ing-Wen (蔡英文) is in Houston, TX. Joshua Wong (黃之鋒) and a few lawmakers from Hong Kong are in Taiwan. A new wave of smog is in Beijing. 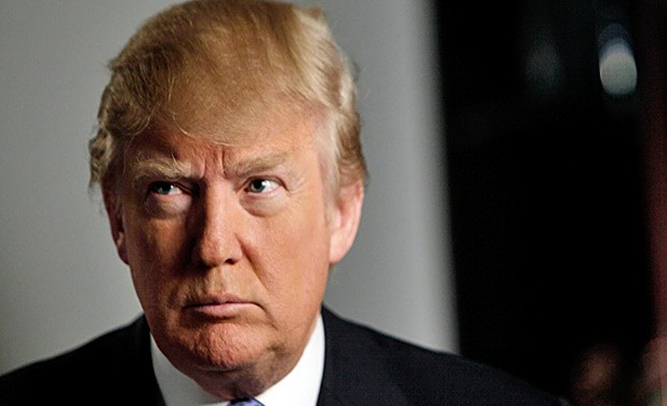 And, more threats from Beijing to Trump are in the headlines. Wong was a Hong Kong Umbrella Movement leader and is now secretary-general of the Hong Kong center-left pro-democracy party, Demosisto. The lawmakers accompanying Wong in Taiwan are Edward Yiu (姚松炎), Nathan Law (羅冠聰), and Eddie Chu (朱凱迪). Senator Cruz gave a few educational remarks on democracy to Beijing over the Communists’ requests that US lawmakers not meet with Tsai. Tsai is on her way to Central America, but her connection in Texas brought lots of opportunity to discuss the strong and strengthening relationship between Taiwan and the US. Back in Hong Kong, Wong and Law, elected but disqualified by the courts as a legislator, are facing charges for connection with protests that stormed a political office in Hong Kong in 2014. So continues the generational disputes. Establishments do what they will and the people, especially younger generations more willing to take action, never seem to find a way to lodge their objections in a way that is both effective and agreed to by the establishment. Perhaps, the objection to the protest was not its manner or location, but its political objective: Hong Kong Independence. Asian news in early 2017 is back to the usual: Which territories ought to comply with China’s policies regardless of their will; and the smoke in Beijing, both environmental and political. And, of course, America is managing to remain in Asian headlines and Chinese talking points, as well as China’s backyard ocean. According to several rumors coming out of the RNC, one of Trump’s daughters was seen assaulting Ted Cruz’s wife, Heidi, during a break at the Republican National Convention, prompting security to remove them both from the floor. 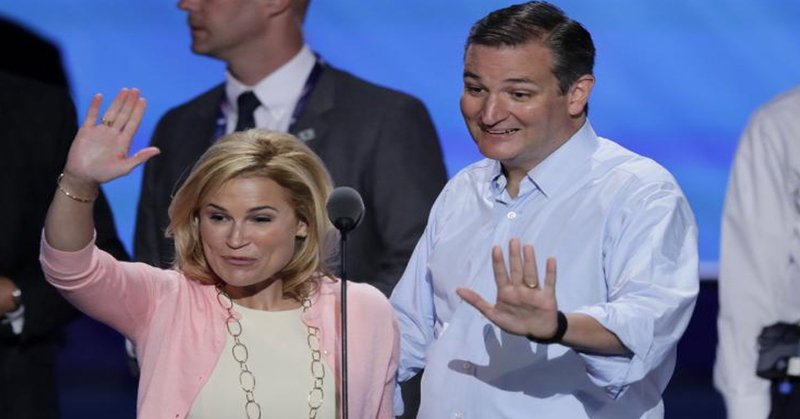 According to mainstream media, security was asked to remove Heidi Cruz from the floor for her own safety after the crowd began booing and jeering her husband during his speech. Witnesses at the event, though, say that’s not the reason at all. Ted Cruz has refused to honor his commitment to back Republican nominee Donald Trump, and many are saying that the spat between families is what may have caused the assault on the RNC floor. Mainstream news outlets have yet to pick up on the story, and most are assuming Trump and Cruz are working to have it covered up, as it negatively effects both of their families. Neither Donald Trump or Ted Cruz could be reached for comment. National Enquirer has been making serious news the last few weeks, after the magazine published information saying that they were investigation presidential candidate Ted Cruz for having an affair – with five different women. According to the Donald Trump campaign, the candidate is completely refuting all information that he has ever had an affair. There have been rumors that the original article, claiming that Ted Cruz had at least 5 mistresses, was fabricated by Donald Trump himself, as he has close ties to the magazine. Representatives for the Enquirer will not reveal the source of either article, but do say that it’s now “fairly obvious” that they have no allegiance to either candidate. What started as an internet meme and joke has become a startling reality, as Senator Ted Cruz, presidential hopeful, admitted today that he was, in fact, the Zodiac Killer. Cryptic information not withstanding, the internet has run with the admission, and several conspiracy theory websites are in an uproar over the information. Cruz, so far, has denied any allegations that he is a time traveler. 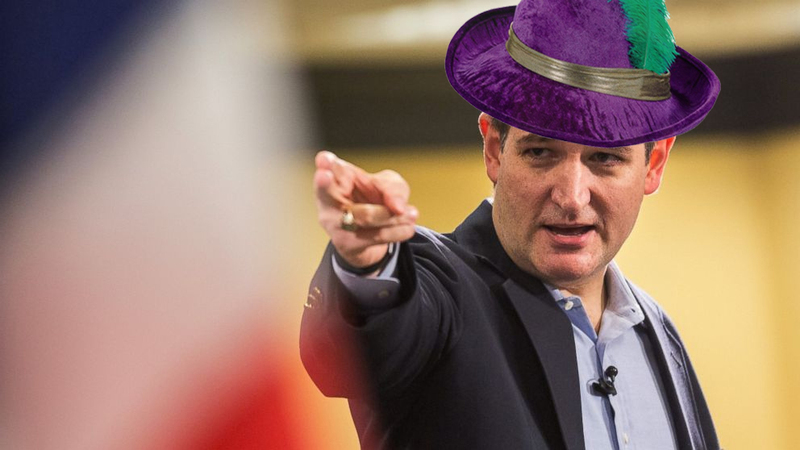 Cruz appears to be taking a more macho approach to his campaign in general. 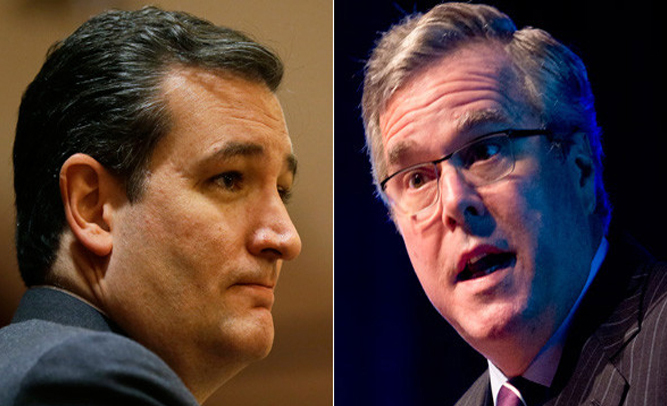 After the fistfight with Bush, Cruz challenged Trump to a Mano-a-Mano debate anytime between now and he Iowa caucus. Among candidates in the Republican party, this is equivalent to posturing like an aggressive ape and growling. The democratic awakening from Taiwan won’t stop with China. Though the ramifications may stay more in the government, they will reach America. The Pentagon and White House, in their own ongoing feuds, will be forced to recognize their miscalculations. The people are fed up. And if 20 million Taiwanese aren’t afraid of China’s 2,000 missiles and are willing to tear down annoying establishments anyway, then 300 million Americans can’t be contained by any means—by the press or the barrel of a gun.